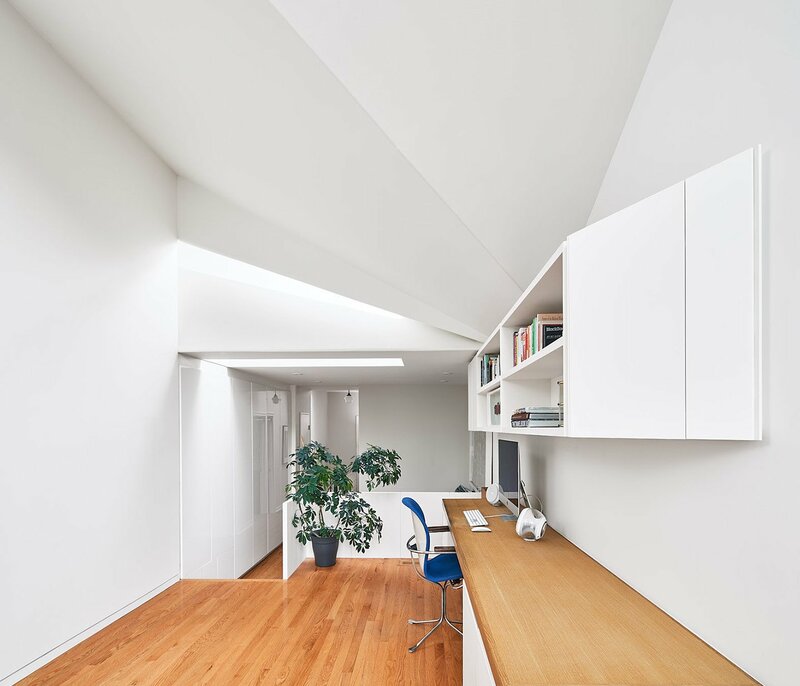 Stafford Extension | Williamson Williamson Inc.
A soaring ceiling faceted to reflect light within a new second floor space is the transformative element in an addition to a historic home in downtown Toronto. Sited on a through lot that backs onto Stanley Park, a new office space that doubles as a Pilates room for a work-at-home parent and his family is lifted above the rear-yard garages to capture the treetop views. 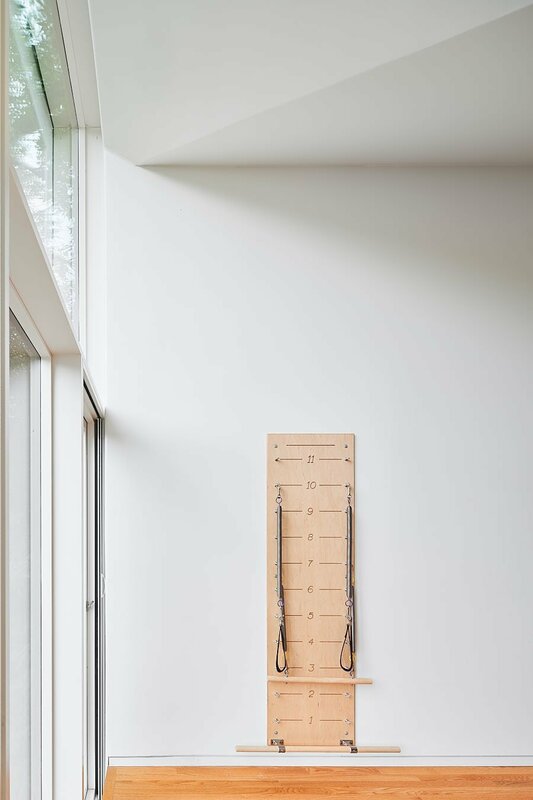 Faceted ceiling geometry rises to a fourteen-foot-tall glazed wall that offers a dramatic scale change from the Victorian interior of the existing house. 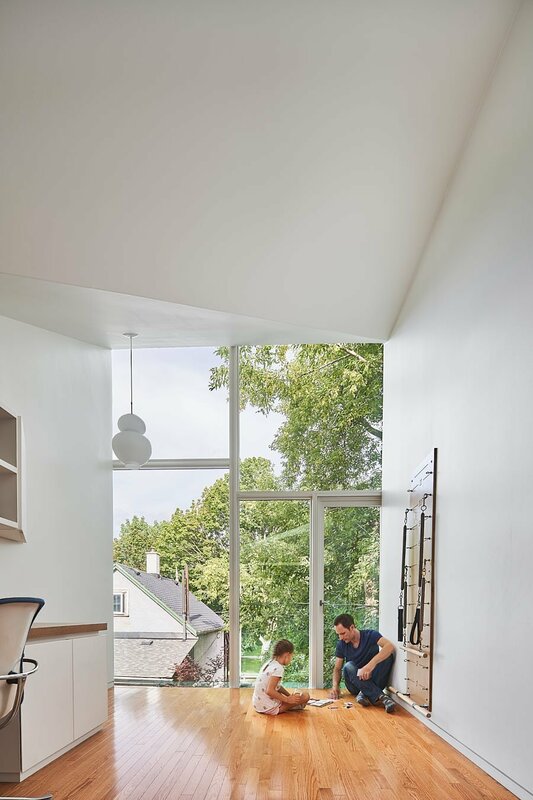 Despite this large window, skylights were added deep into the room, capturing sun throughout the day and bringing light into the centre of the home. 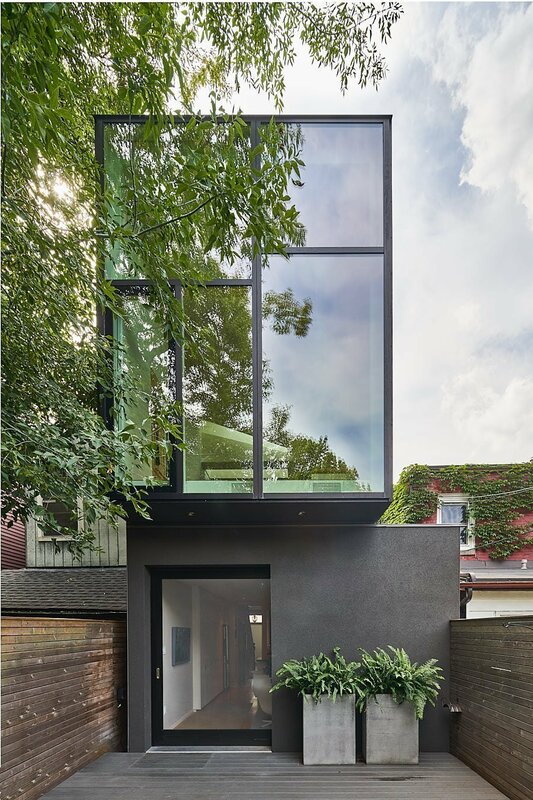 The addition acts as a deep breath that feeds the otherwise dark and narrow house beyond with light and air. 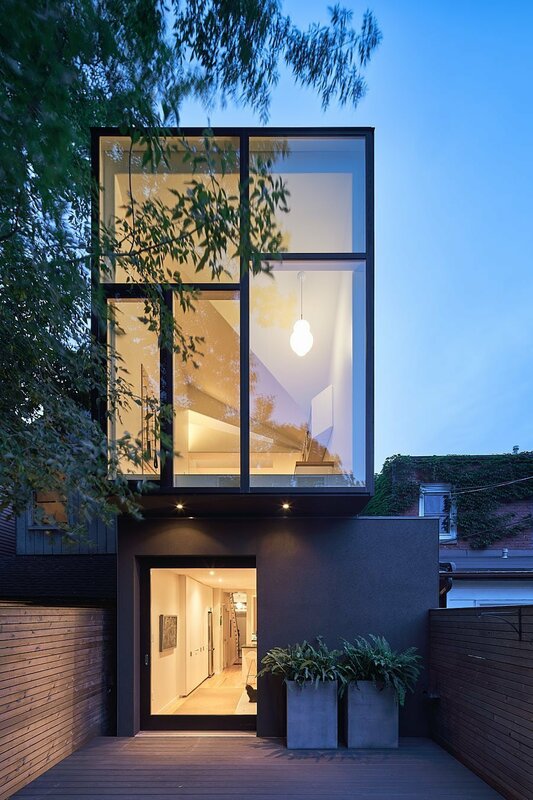 Typically, when modern additions are added to the back of Victorian homes, something we affectionately call the Toronto Mullet, it is the lower level that is fully glazed, often as a kitchen extension or family room. Here this typology is flipped, and the fully glazed room hovers above a solid base. 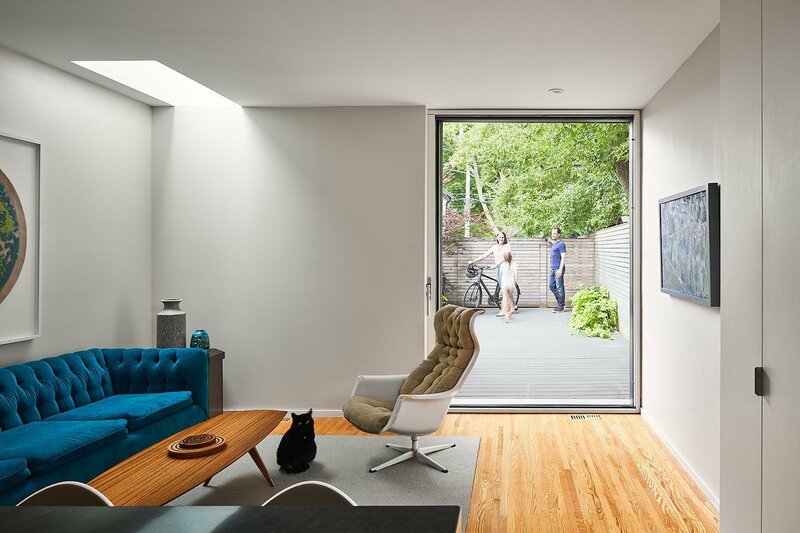 At grade, a simple volume adds a family room with a walk-out connection to a deck beyond. 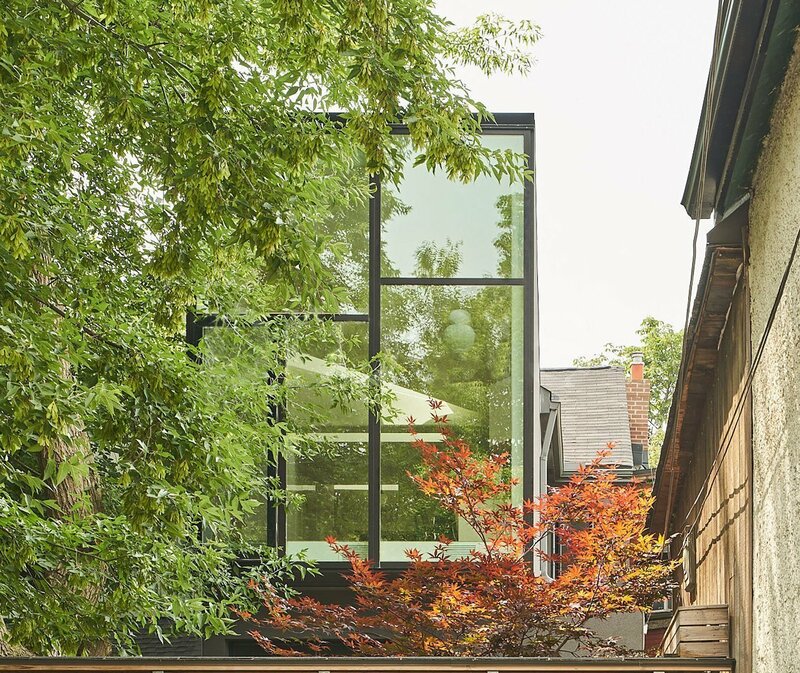 At once both soaring and grounded, this project shows the possibilities afforded when working within Toronto’s dense fabric of historic homes.